Christmas bauble chocolate moulds, Christmas chocolate molds, Christmas molds, silicone candy molds, Christmas moulds, - Chocolate sphere molds for ChristmasSphere chocolate molds for Christmas. 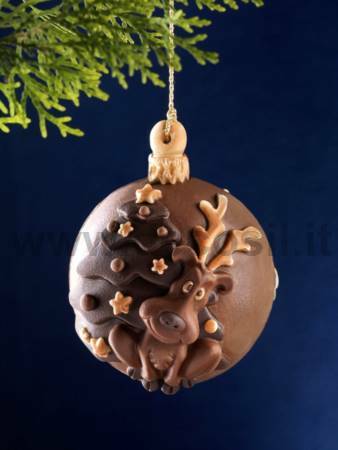 Sphere chocolate moulds for Christmas Made in Italy. ​​​Mold weight: approximately 0,163 kg.